Trifaccia skull mask is a unique way to spook your friends! 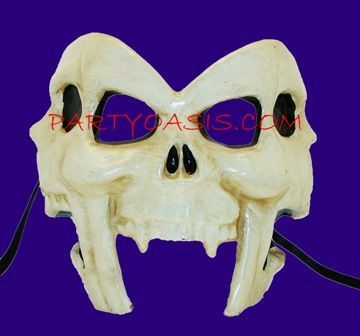 Made out of paper mache this mask is great for Halloween, Masquerade, or a Pirate themed Event. Easy to wear with ribbon ties.